And since prevention is way, way better than any anti-ageing treatment on the planet, it is time to make sure your skin is adequately protected. 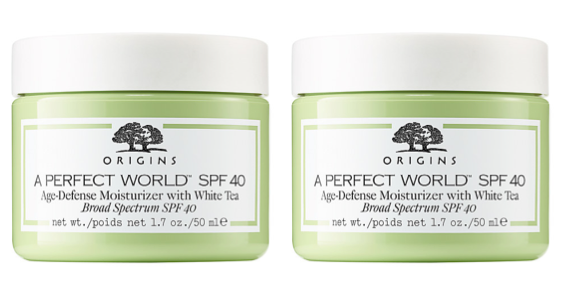 We're longstanding fans of Origins A Perfect World – and over the years, Beauty Bible testers have heaped praise on it, too. Now it comes in an SPF40 option, which really offers good protection in a very, very nice-to-use format. Importantly, it's nd it has the great, signature Origins 'fresh', light scent – from orange, lemon, bergamot and spearmint – which make it a pleasure to use. The texture? Oil-free, but nevertheless brilliantly skin-quenching. It only remains for us to say: get out there and enjoy the sunshine, while it lasts.